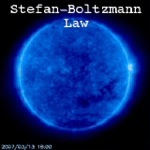 Wien Law - when stuff gets red hot etc. 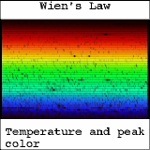 Mini-lecture on the Wien Law. This is how an astronomer can analyze the light of a star light years away and figure out its surface temperature. This is a great exercise, but definitely a toughie. 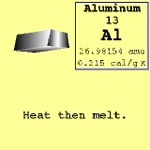 What is the sequence of events when one melts a solid, like a 3 kg block of aluminum? How much energy is required? 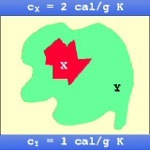 Calculation of nothing, ex. 39, PSM p. 113. This is a problem about nothing. 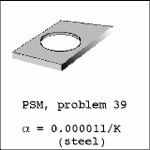 I.e., you compute the size of a hole in a steel plate, from the problem solving manual (PSM). 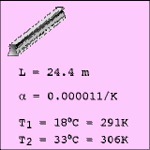 Basic exercise in thermal expansion. When this happens to train tracks, if there are no expansion joints, it can twist the rails and cause trains to derail. This exercise shows the equivalent heat generated by a normal human being. 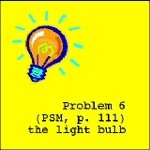 It is from the problem solving manual, p. 111. 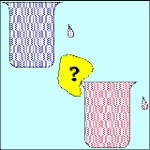 Why do objects suddenly feel lighter when they are submerged? 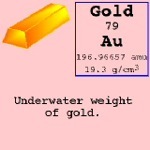 Buoyancy wins and loses in this CSI episode. 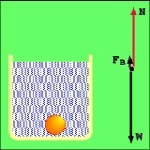 Buoyant forces and weight force compete against each other for submerged objects. These visual podcasts are supplements to some of the homework assignments.